Raul Rodas is your new 2012 World Barista Champion! Mr. Rodas takes home the top prize in his fourth year of international competition, overcoming significant adversity with customs and shipping, resulting in him being scratched from Day 1 and moved to the very end of Day 2. Raul’s routine closed day 2, and he opened Semi-Finals on Thursday. Mr. Rodas competed with pulp natural processed coffee from where else – Guatemala – hailing from Finca Soledad, in the Acatenango region; experimentally dry fermented for 14 hours, then dried for 15 days on raised African-style processing beds. His routine was immensely complex, including a signature drink that featured four ingredients: infusions of fresh cascara (coffee cherry) and an infusion of unroasted coffee beans covered in mucilage, and Clever Dripper brews of both partially roasted “yellow bean” coffee as well as first crack coffee. After tasting all four components, two judges were asked to add a small amount of the cascara and mucilage infusions to simulate a natural profile in his semi-washed espresso (pulled with 17 grams of coffee) and the other two were asked to add cascara and first crack ingredients to their semi-washed espresso (pulled with 18 grams of coffee) to simulate a “washed profile”. He then asked the judges to swap their drinks with their neighbors, so that all judges had an opportunity to taste (and score) the different mixtures. Raul is the second competitor from a producing country to win the World Barista Championship, making his victory the second consecutive such win, following Alejandro Mendez’ title in 2011. It was our distinct pleasure to watch Mr. Rodas’ routine in its entirety all three times this weekend, to which we can say with confidence that his routine on Finals Friday was far and away the most polished and precise. Mr. Rodas now takes his place among the rarefied roster of World Barista Champions, a remarkable achievement for this 25 year old. Raul’s career has been touched by many trainers and influences – Fritz Storm and Brent Fortune chief among them – and his victory is a testament to the borderless and wholly international nature of specialty coffee. There’s a truth we’ve learned in covering these events: USBC and WBC competition stages are in a very real way a sort of “minor league” for the specialty coffee industry, a platform upon which careers are launched and names are made. It’s fascinating, then, to conjecture on what this next year holds for Mr. Rodas, and the heights to which his career might climb in the wake of his WBC victory. 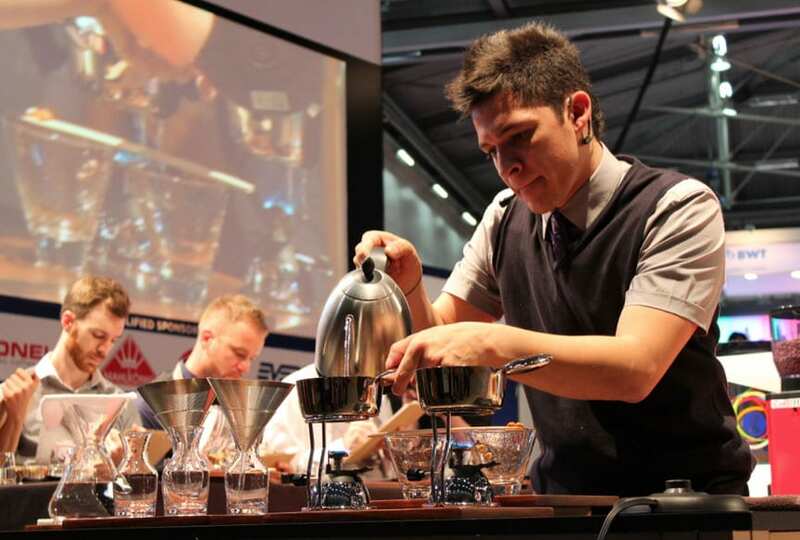 We can’t wait to see what comes next for Raul Rodas, your newly crowned 2012 World Barista Champion!